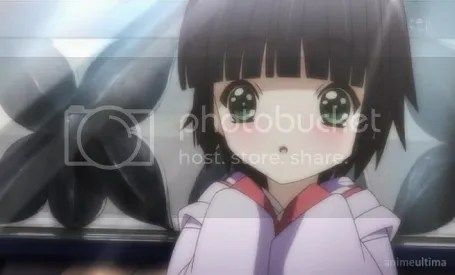 Yune is a Japanese girl who must fulfill her family tradition by serving as an attendant and so she decides to do so in France. Now, a dude named Claude has become her master. I really like this series. It’s like an innocent telling of Yune’s adventure in France serving Claude. It’ll be fun to see how she adjusts and lives in this new environment of hers. Even though Claude seems to be a bit cold and harsh, he’s actually a sweet guy. Have I mentioned how adorable she is? She felt bad about destroying the signboard that she was willing to give up something important to her. She’s so considerate. I was surprised to hear French words–sentences even… OHOHOHO. I wonder if I could pick up a few French words. It probably won’t be that easy though. 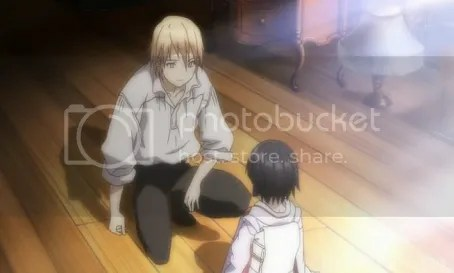 I can’t wait to see Claude and Yune spend more time together and seeing her learn new things. This entry was posted in Anime, Currently Watching, Ikoku Meiro No Croisée and tagged anime, Ikoku Meiro No Croisée. Bookmark the permalink. Did the show mention how old is she? She looks really young and she’s doing all the chores. Pity Yune. >.< She's just soooo cute.